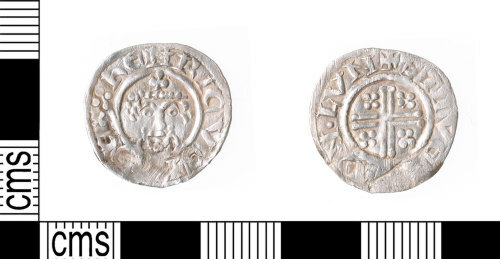 A complete and slightly worn Medieval silver short cross penny of Richard I (1189-1199), Class 4a, minted by Stivene at London c.1194-1200. North (1994) no. 968/1. Measurements: 19.09mm diameter, 0.72mm thick and 1.37g in weight.